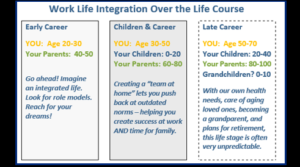 Our 2017-2018 webinars focused on – The 8 major crossroads we navigate when integrating work and life. On the road to integration, we face many crossroads. The choices we make, skills we develop, experiences we learn, often influence the next one. Can you muster the courage to ask for what you really want – both at work and at home? Are there options to make your goals more affordable? Can you design a life that includes success at work, energy for your family, AND time to recharge? Join our free interactive webinars – 2nd Thursdays of the month – from 1:00-2:00pm ET. To receive webinar link click on “Sign up for Events” above. Or catch previous webinars by watching our YouTube videos or subscribing to iTunes. Peter Senge, author of The Fifth Discipline, will launch our new season of webinars. His powerful book, The Fifth Discipline, helps explain why the crossroads we face on the path to integration may feel challenging, but how the choices we make can also promote wider change. Brigid Schulte, author of Overwhelmed, and ThirdPath’s board member, Alex Durand, will join us to discuss the smart choices you can make – right from the start of your career – as you launch an integrated approach to work and life. To integrate work and life we need flex but we also need managers to evaluate and monitor their team’s capacity for work. 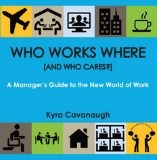 Join Kyra Cavanaugh to learn how to put this important idea into action. Becoming A Parent – No Sleep, Few Role Models. How To Begin? Katrina Alcorn, author of Maxed Out, learned that she wasn’t alone when she hit rock bottom balancing two young children and two demanding careers. What can we do to better support new moms and dads? Kristin Maschka, author of, This is Not How I Thought It Would Be, will share her twists and turns on the road to integration – including insights on what gave her the courage to ask for the changes she needed. Two amazing dads from the ThirdPath community will share tips on balancing work and the care of your school age children – navigating everything from sick days and school closings to summer vacation. Matt Becker, founder of Mom and Dad Money will join us again to talk about how we can redesign work, family, and our financial choices to help us better follow our dreams. 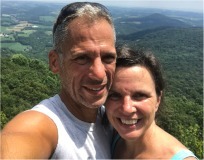 Paul Rupert, founder of Rupert Organizational Design and Elaine Chaney, ThirdPath board member, will discuss new ways of phasing into retirement that benefit you and your organization. Josh Levs had to sue his company in order to get paid paternity leave. Now he is All In for advocating that paid parental leave needs to be available to everyone. Yes! We need good public policy to make the road to integration available to all.